Gum disease is one of the most common and destructive disease processes in adults, and one of the most neglected. Periodontitis, which usually begins as gingivitis, is very often painless. For this reason, this silent disease eludes notice until teeth loosen – by that time, it is often too late to reverse the damage and loss of bone that supports your teeth. The best way to treat gum disease is to prevent it from causing damage in the first place. We are intensely focused on prevention. While twice yearly teeth cleanings may suffice for some younger patients, most mature adults who need more attention are pleased to find that we and offer proven strategies to restore a state of gum health and prevent it from returning. If you are worried about the state of your gums, or haven’t seen a dentist in too long, Dr. Schultz is proud to offer comfortable and comprehensive gum disease treatment in Petaluma, CA. Careful Diagnosis and Monitoring – Effective diagnosis is essential to precisely identify problems that might elude detection. Careful monitoring alerts us when current treatment is working and lets us know when additional treatment is unnecessary. Together, careful diagnosis and monitoring help to ensure that you only receive the treatment you need to recapture periodontal health and prevent future disease. Deep Cleaning (Root Scaling and Planing) - This is the most proven treatment for gum disease -- It is a non-surgical method that involves cleaning teeth and freeing the gums of debris and bacteria further below the gumline than routine cleanings can effectively help. A deep cleaning often reduces the unattached, pocketed area underneath gums ; it leaves root surfaces smoother and less prone to new deposits, making it easier to maintain a state of health. Many studies support the use of non-surgical approaches and have proven them to be just as effective, which is why we offer options for non-surgical gum disease treatment as a defense against the effects of this all-too-common condition. Localized Arestin Therapy – Arestin is an anti-bacterial agent that is gently applied under the gums. It works locally to promote healing without affecting your general health. Localized antibiotic treatment after a can optimize the results of a deep cleaning and promote the look and feel of a healthy smile. Laser Therapy – Lasers are scientifically proven for effective soft-tissue management, which is why we include laser therapy as a treatment option in some cases. Used in deeper pockets, lasers are a comfortable and less-invasive therapeutic treatment option for reducing bacterial populations and promoting quicker healing. We understand what it feels like to be the patient. We know that most patients want to avoid unnecessary treatment, and that it is hard to know whether to accept treatment for a problem that you cannot feel or see. In the end, it comes down to trust, and we give our patients every reason to trust what they hear; we give clear, concise explanations, listen to your concerns about therapy, and help you to understand the scientific, objective criteria by which we judge gum health. 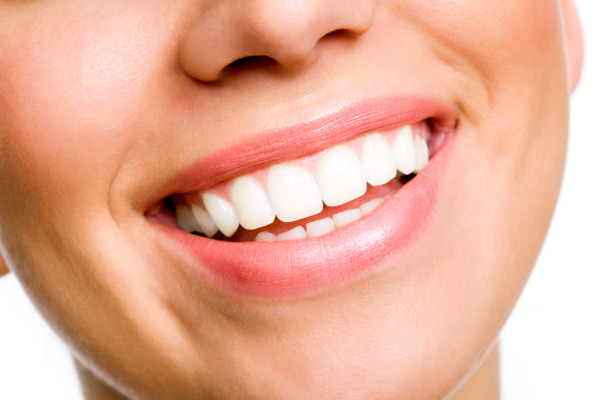 Our experienced and gentle hygienists make sure that you are comfortable while receiving care. Putting off treatment for gum disease is easy when nothing hurts, but it only allows the problem to progress – making matters worse. If your gums are puffy, bleeding, or are pulling back from your teeth, it’s important to see Dr. Schultz as soon as you can. We invite you to come in, sit down and discuss your concerns, so that you can feel sure about the treatment you choose. You can trust our Petaluma dental office to provide you with modern and caring treatment for your gum disease symptoms. Call us today to schedule your consultation!